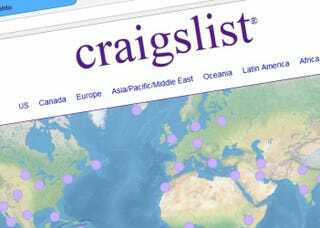 A man in Livonia, Michigan, fell for a Craigslist scam. I am going to outline the scam for you and give you useful guidelines on how you can avoid getting caught by this devious rip-off. The man saw an ad on Craigslist for a car which was reportedly in Montana. He spoke to the seller on the phone and they agreed on a price without the buyer seeing the car. The seller asked the buyer to pay for the car with Amazon gift cards, which the buyer then transferred without meeting the seller. The seller then removed his ad from the internet and absconded with the funds. The buyer has nothing to show for his $4,000. He filed a police report and that is how the Detroit Free Press found out about the story. The man paid for a car in Amazon gift cards only to find out he sent them to a fake site. I have been an attorney in Michigan for almost 24 years. I taught consumer law at the University of Detroit for many years and have handled thousands of consumer claims. And, I have some very specific advice on how to make sure the story above never happens to you. DON’T DO ANY OF THIS. In case you’d really like this broken down in a little more detail, there are things you should watch out for when transacting business in this modern era. Don’t offer to buy a car sight-unseen. How do you even know the car exists? I’ve got news for you: Photos of cars are really easy to come by. Don’t send money to someone for something you have never seen. Your money is real. Before you hand it to someone, you’d better be certain that the person you are dealing with is real and what they are selling you also exists. Don’t trust someone you only know through a phone number you got on the internet. You heard their voice on the phone? Modern technology means you can narrow that phone call’s origin to someplace on or near the surface of the Earth. Don’t get entangled with someone whose only contact you have is an email address. Email addresses are less traceable than burner phone numbers. Don’t agree to pay for anything with gift cards. Any form of payment that is not traceable is a problem. Unless you are handing the cash to a living, breathing person who is handing you the keys to a car that is right there. Ask yourself” If this deal goes bad, what recourse do I have? If you are not sure, ask around. Friends and acquaintances often have a sober view of how you should not send your money to strangers you met on the internet’s classified section. Again, you’re welcome. Next time, valuable advice like this will cost you.